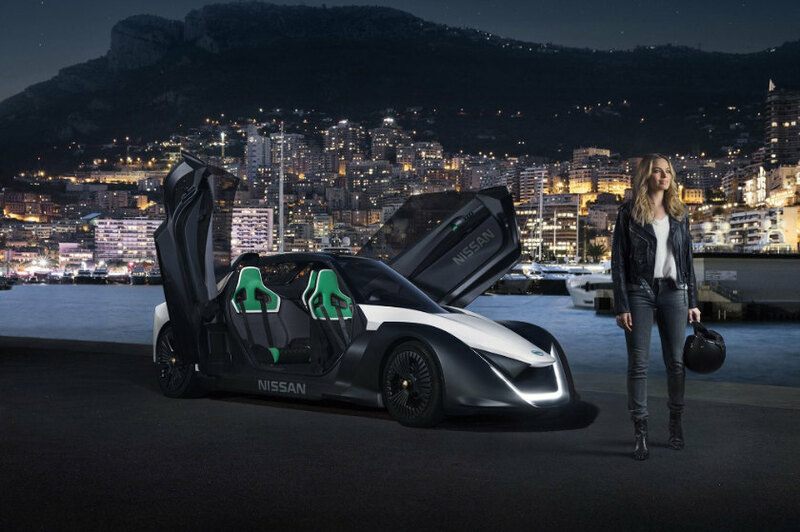 Margot Robbie (Focus, The Wolf of Wall Street, Suicide Squad) has become a spokeswoman for Nissan, showing off the Japanese brand’s electric car credentials with its BladeGlider sports car around the streets of Monaco, and into Casino Square. The Australian actress tested one of the two BladeGliders on closed roads in the principality, racing against its twin. She drifts around Fairmont Hairpin, and slid sideways around the Massenet corner. The petite sports car has a very Japanese appearance with its origami-like folds and detail-rich surfaces, and seats three, with the driver in the central position. It’s not for sale—it’s a prototype that will be unveiled at the Salon de Genève later this year. It’s in direct contrast to the bulky Nissan Leaf, the world’s best selling electric vehicle. The Renault–Nissan Alliance has invested heavily in electric cars, staking its future on the growth of the sector. In a release, Robbie said, ‘It’s a really exciting time for electric vehicles. 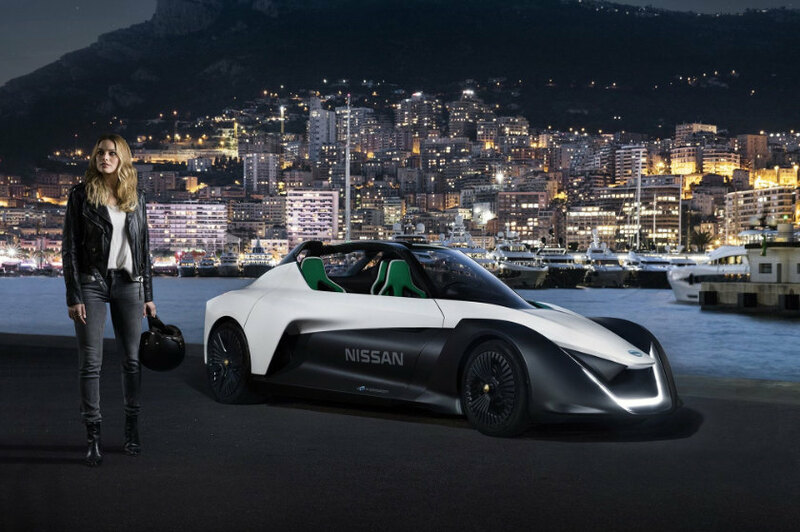 More people are choosing to go electric, leading the way to a more sustainable future and the Nissan BladeGlider hints at the future of smarter performance cars,’ said Margot Robbie. 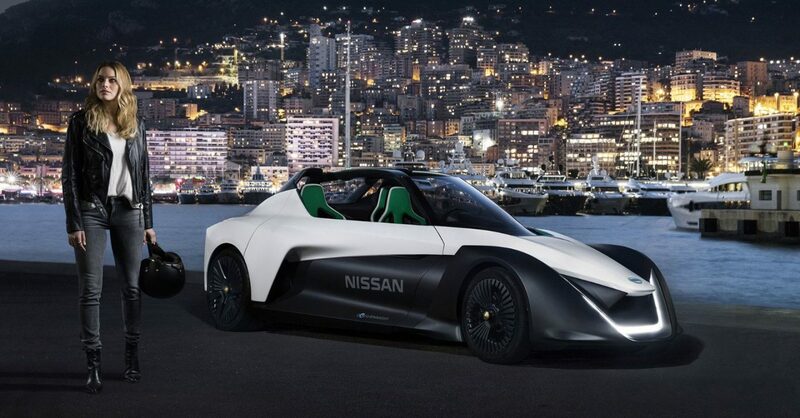 Nissan chose Monaco as it has a sustainability programme that aims to reduce carbon emissions by up to 50 per cent by 2030. ‘We want to inspire people to take small steps towards cleaner, safer cities, and working with Margot is the perfect way to do just that,’ said Gareth Dunsmore, Director of Electric Vehicles for Nissan Europe.